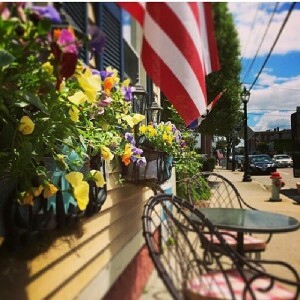 Silver Spoon Bakery is located in the heart of historic Main Street, East Greenwich. Find us in a charming yellow building across from The Odeum Theatre and next to The Grille on Main. There is ample parking in the municipal lot next door, behind the building, and on-street. We’re open seven days a week! Monday 9 a.m. – 6 p.m.
Friday & Saturday 9 a.m. – 10 p.m.
For fastest service please call our shop at (401)-384-0078If you have questions or would like to place an order, please check out our FAQ and Order pages. Want to show us some love? Drop us a line. We’d ❤ to hear from you! Yes, please sign me up to receive your newsletter for promotions, specials, and more!